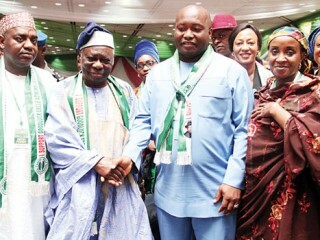 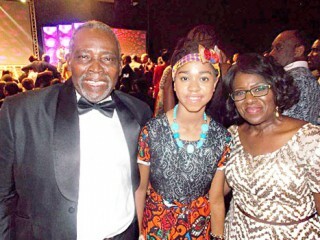 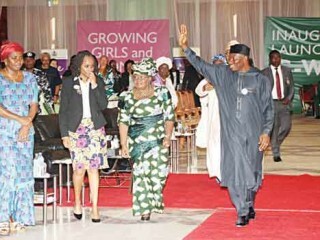 Girl Education Advocate, Zuriel Oduwole (middle), flanked by Nollywood icons, Olu Jacobs and Joke Sylva, at the Africa Magic Viewers Choice Awards in Lagos. 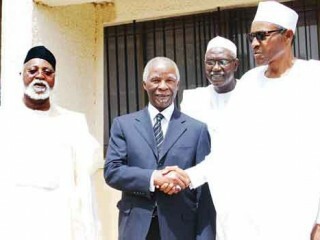 APC presidential candidate, Maj.-Gen. Muhammadu Buhari (right); Thabo Mbeki and Gen. Abubakar Abdulsalam, during their courtesy visit to Buhari in Kaduna Monday. 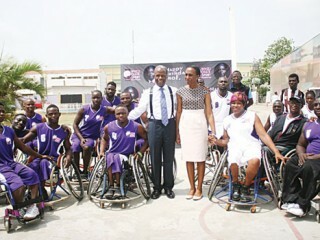 Prof. Yemi Osinbajo (middle); his wife, Dolapo, with physically-challenged basketball players, during a novelty match to mark his 58th birthday in Lagos…Sunday. 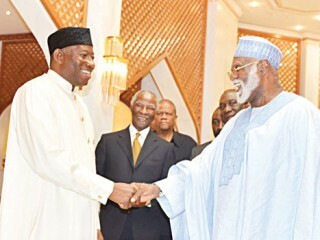 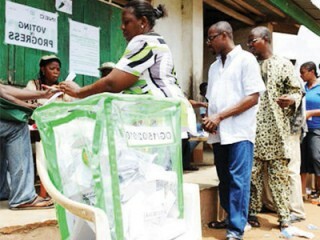 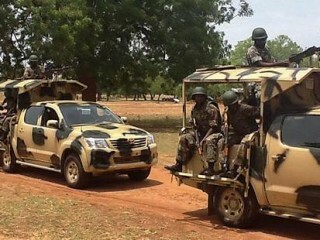 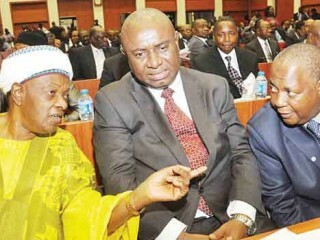 President Goodluck Jonathan (left); Thabo Mbeki and Gen. Abdulsalami Abubakar during a visit to President Jonathan at the State House, Abuja… Sunday.